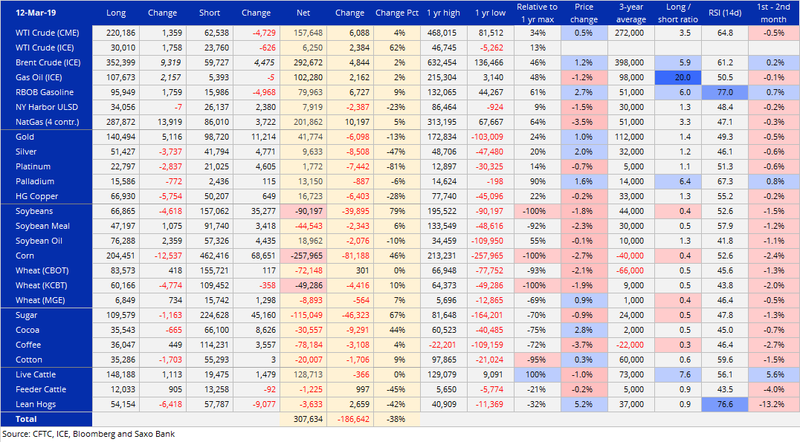 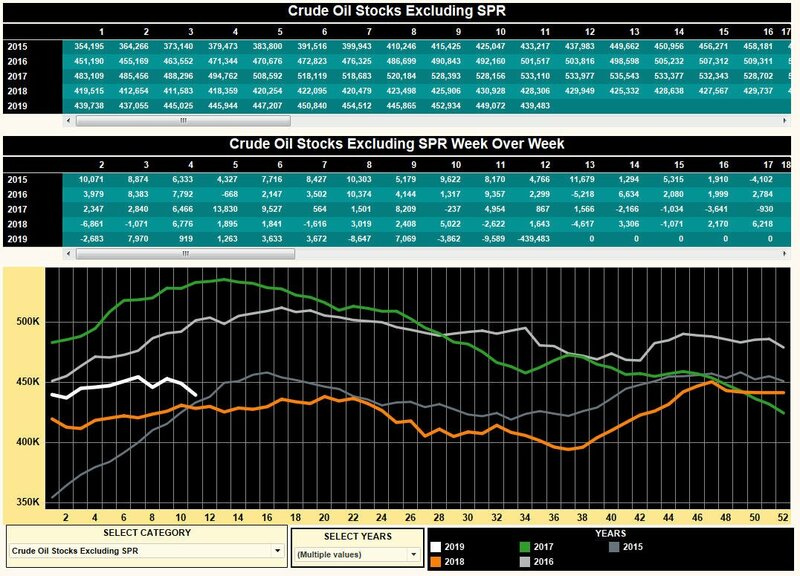 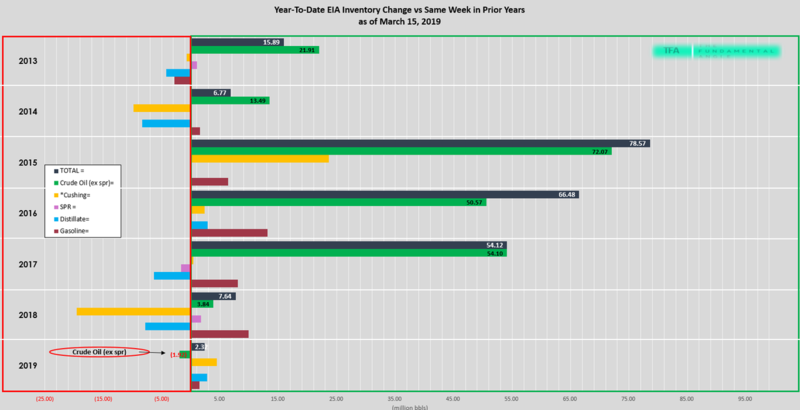 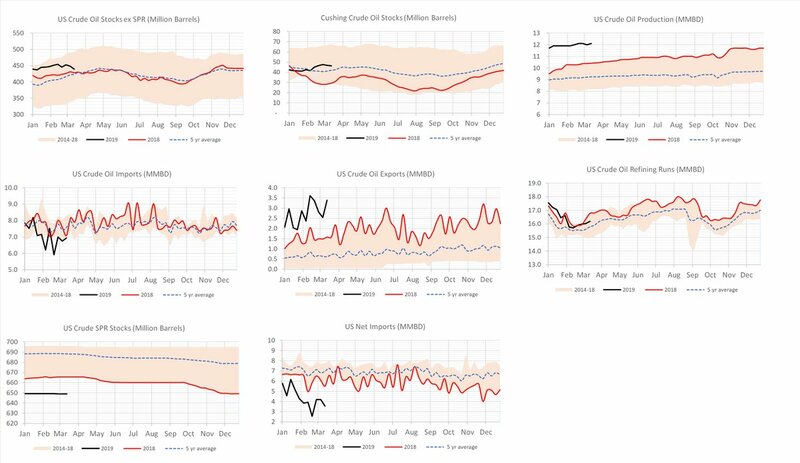 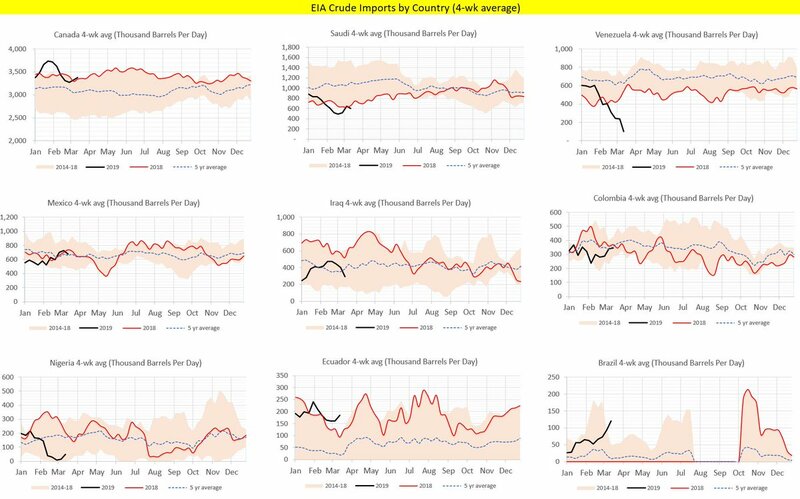 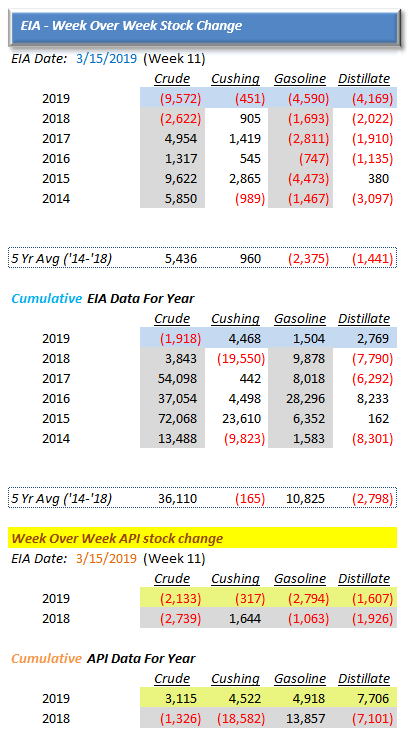 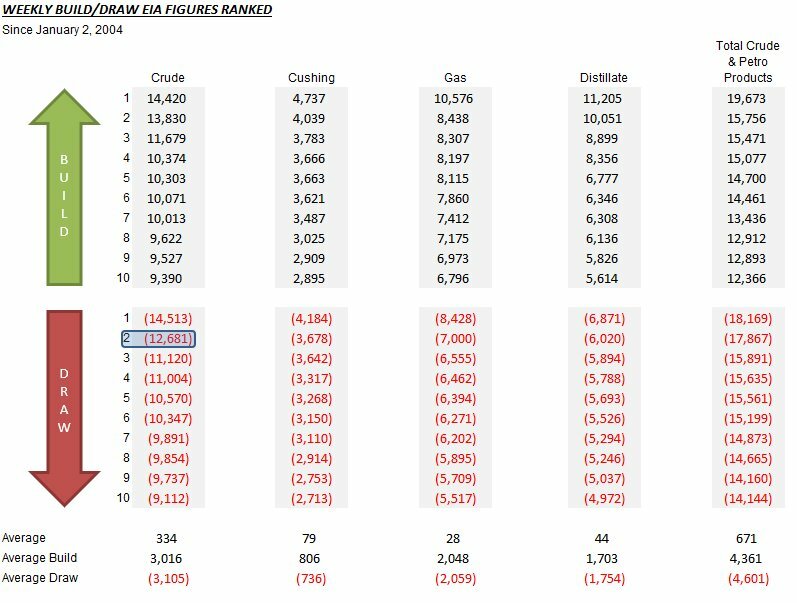 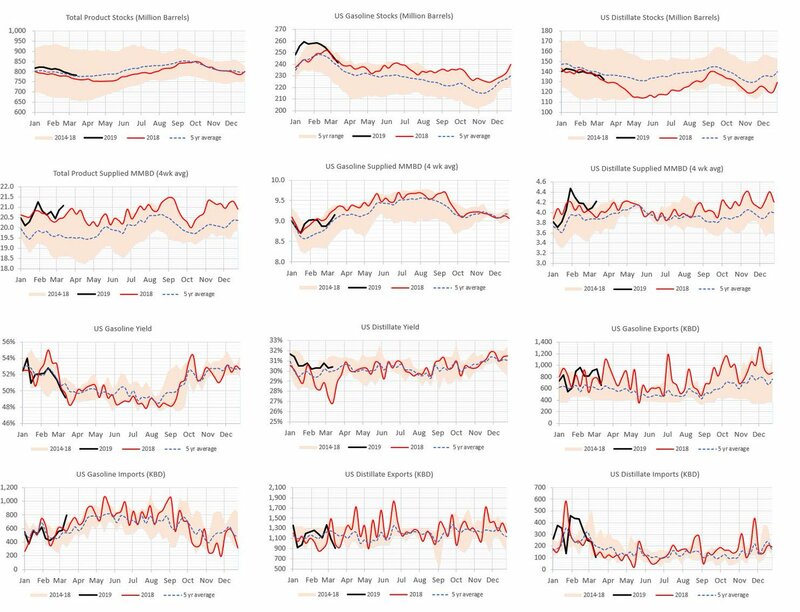 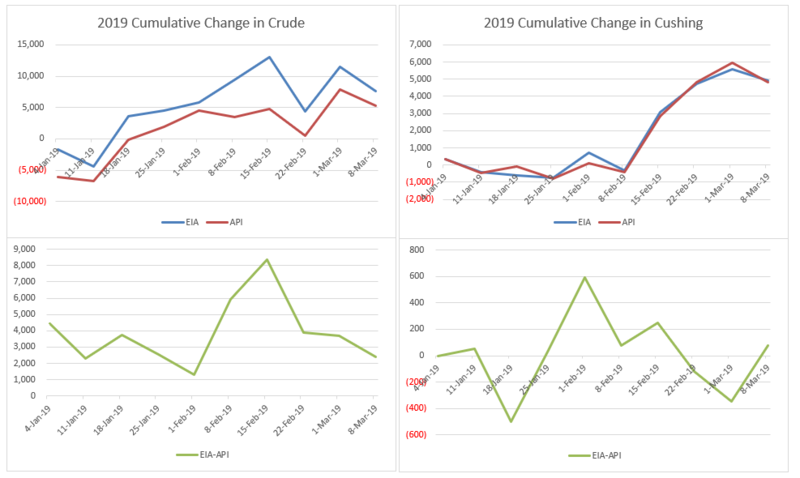 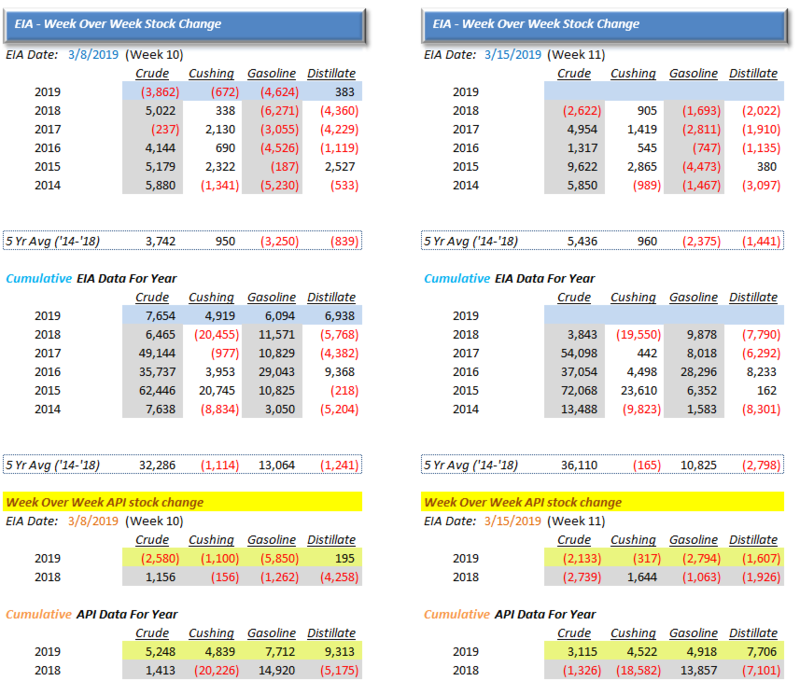 EIA reported a huge crude oil storage Draw -9589k bbls. 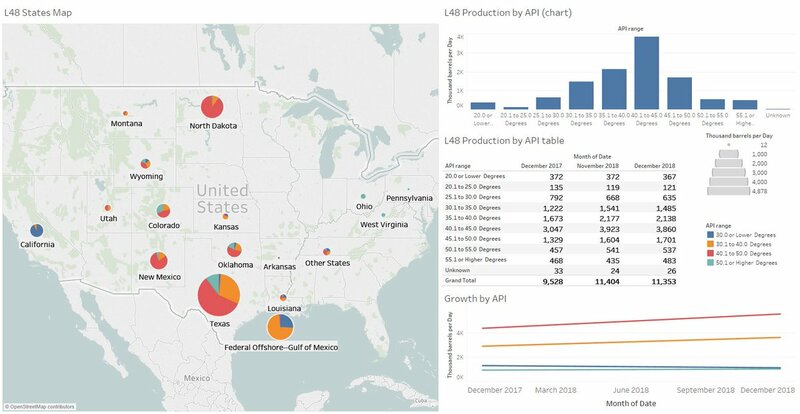 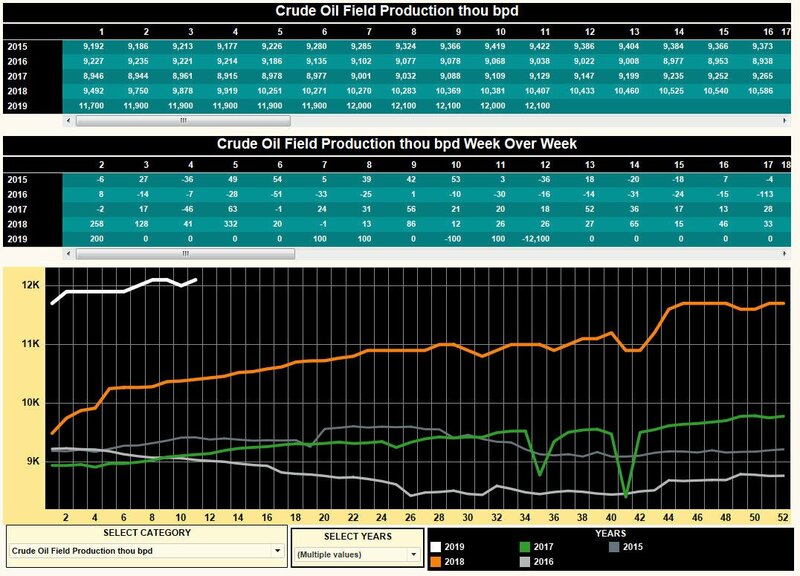 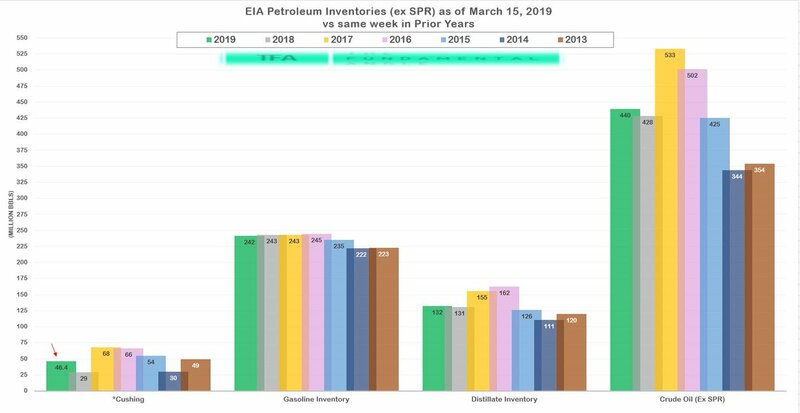 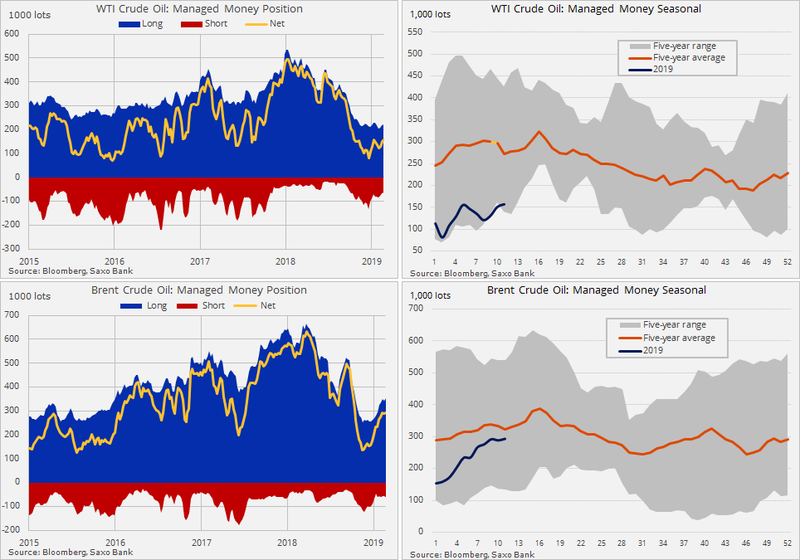 Gasoline drew -4587k bbls with a draw of 4127k bbls in distillates.The shale revolution continues, with production up 100k to the record high of 12.10 mbpd. 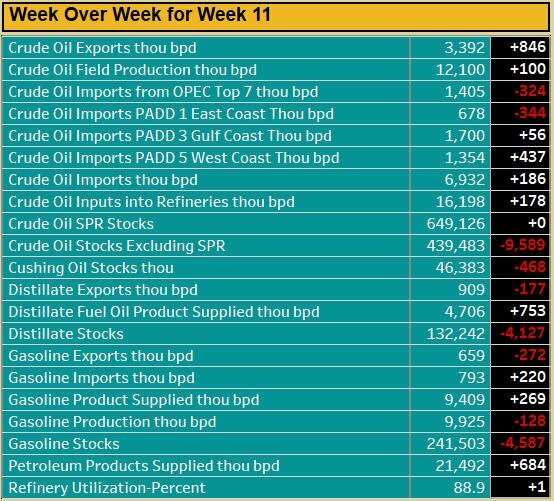 US consumers spent $1,006.9 million dollars per day for gasoline last week. 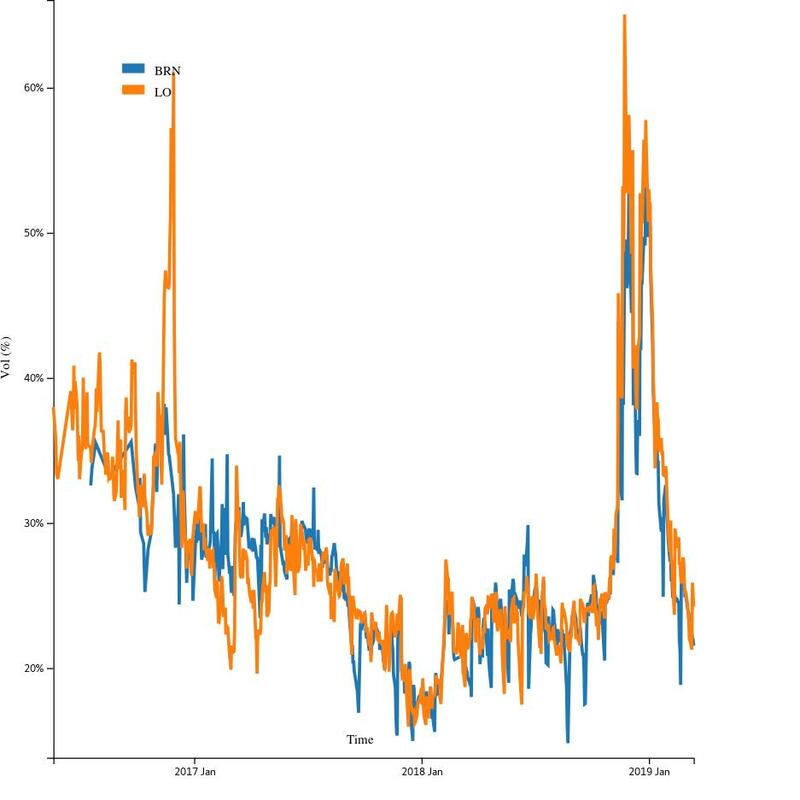 That is -$10.5 mil YoY. US avg retail price for gasoline was $2.548 last week. That is +5.0 cents YoY.